You could work for a taxi firm or be self-employed. Depending on your licence, you may be booked in advance, wait on an official taxi rank or pick up passengers while on the move. Ask your council what the requirements are in your area, including the fees they charge and how to apply. Ask your council how to renew your licence. You need to apply to Transport for London (TfL) to drive a taxi or private hire vehicle (PHV). Check with TfL to see if you’re eligible to become a taxi or PHV driver. Contact TfL to apply for a taxi driver licence. Contact TfL to apply for a PHV driver licence. Congratulations to William Shipley of Holyport, Berkshire on passing your Taxi Test at Slough this afternoon, FIRST TIME, and with just a few minor faults! 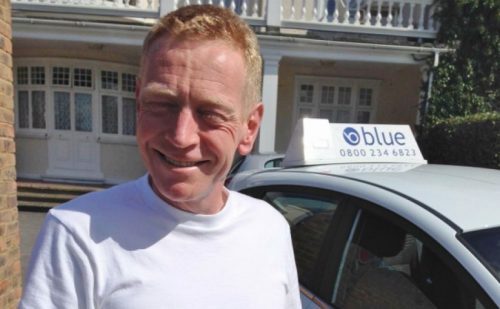 A superb result and very well done from your instructor Andy Shrimpton and all at Blue School.